Winner, winner! Chicken dinner! Here is a “county” wine that is so good that we must look like fools for not slapping “reserve” on the label and charging twice as much. Seriously. What makes it so good? For starters, 95% of this wine is composed of vineyards planted between 1895 and 1934. And these aren’t just any old vineyards. These are vineyards like Carlisle, Demostene, Kirschenmann, Montafi, Pagani, and Papera. First class stuff! 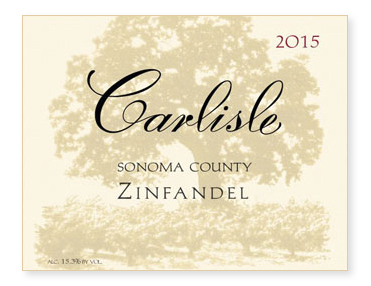 In our 19 vintages, I cannot recall a Sonoma County Zinfandel I’ve liked more. Please don’t miss it.